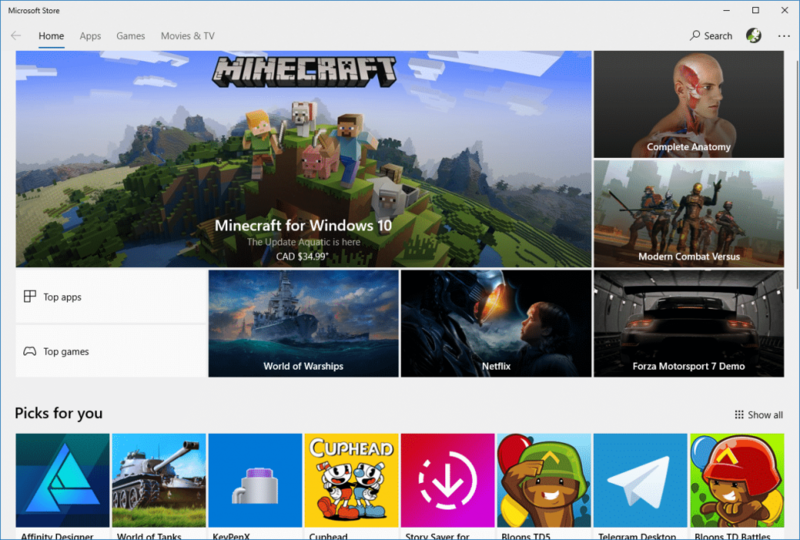 With the introduction of Windows 8 and now the major improvements provided by Windows 10, there are now several types of apps you can install and run on your laptop. However, with the introduction of touchscreen features, there has been some confusion as it relates to apps. Today there are Universal apps and desktop apps that can be run on your system. But what are they, how do they work and how are they similar and different? Today we will look at the different types of apps you can run so you can decide which type you should install and run on your Windows 10 laptop. I know I may be starting a little basic, but I thought it important to show you difference between the different types. A Windows app is simply a piece of software that runs on your computer powered by Windows. Today, Windows 10 is the leading operating system but Windows 7 still has quite a few people running it, even though it is slated to be discontinued in 2020. Windows apps are any applications or programs that run on your computer. These can be games or even productivity apps such as Microsoft Office. 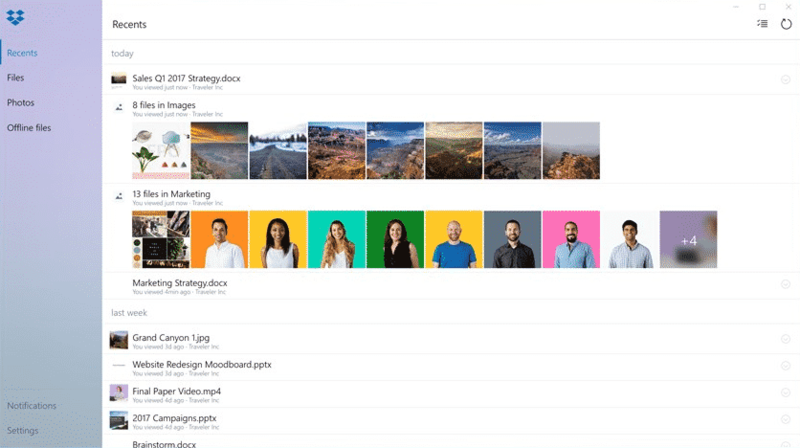 With Windows 10, you can further categorize these apps into two types – Universal Apps and Desktop Apps. So what are universal apps and desktop apps? Let’s take a quick look at each type of app that you can install on your Windows PC. Universal apps, sometimes referred to as Windows Store apps, are apps that you can download and install from the Windows Store. These apps are designed to work on every type of device that runs Windows, including: Windows computers, the Xbox One, Windows tablets such as the Surface, and even Windows powered smartphones. These apps tend to be a little simpler in their design and function much like mobile apps, but on a slightly larger scale. Now you may think that their simpler design is a strike against them. But there are a few good things about these types of apps. For one, you buy it once and it’s yours forever across all your devices. Contrast that with other desktop apps that often require licensing and you can save quite a bit of money. While their design is simpler, you also don’t have to worry about them causing as many problems as they don’t have admin level access to your system. Of course, one downside to these apps is they are only available on Windows 8.1 or Windows 10. Devices that are still running Windows 7 have no way to run them, leaving you with only desktop apps to use. Combine that with their limited functions and you may prefer to use the desktop app version instead, as it gives you more features. Desktop apps are essentially the apps we have all become familiar with over the years. These apps are designed specifically for the Windows desktop and include full support for both the mouse and the keyboard. While some have included touch support in recent years, many of the most popular apps simply run best with a keyboard and a mouse. These apps can be much larger and contain many more features compared to Universal Apps. 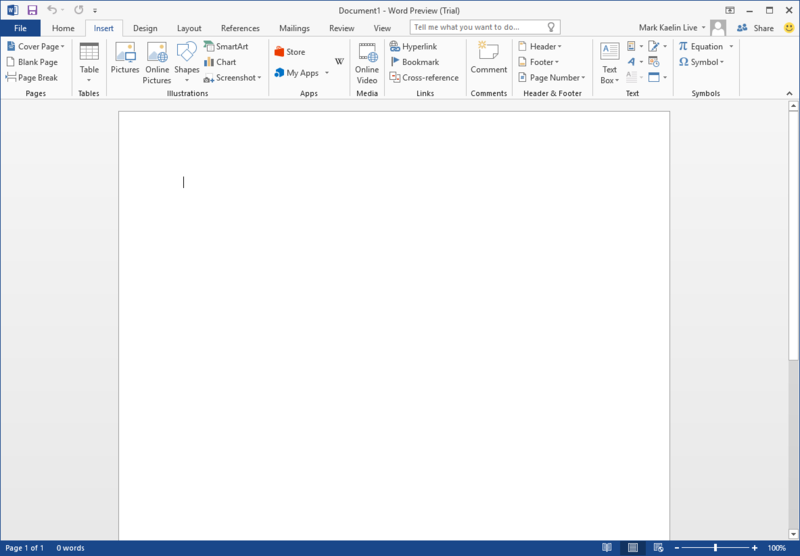 For example, take a look at Microsoft Word for mobile and the desktop app. While both work, the desktop app has many more features that make it much more usable and powerful. These apps are often much larger and take up more space on your hard drive, and they can gain admin access to your system (and often require it) to run. On top of that, these apps can install other services when you install them. These apps are not closely monitored by Microsoft, and can sometimes contain bugs that can cause problems on your system. To update them, you must use the app creators update method, and that often differs per app. Overall, these apps are much more powerful and, in the end, more useful, compared to the Universal apps, but they take a little more effort on your part to take care of, and they often lack touch support which can be a bummer when you are using a 2-in-1 device. Based on what I’ve just said, you may be wondering how different they are. The answer to that, is it depends. Some Universal apps are every bit as powerful as their desktop counterparts, although the interfaces are a bit different. In other cases, the Universal app will lack many of the features of the desktop app, preferring instead to include the core features of the app without making the app too large. In many case, an app will only be made as one or the other. 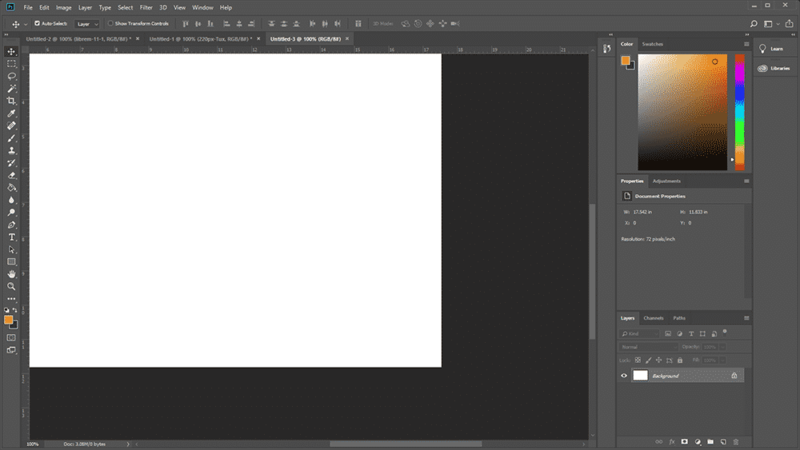 For example, Adobe Photoshop (the true Photoshop), only has a desktop app. Sure, there is something called that on Universal, but it’s nothing like the real version. In other cases, you may only find a good Universal app and no desktop alternative. Thankfully, Windows today can run both and it does so in a pretty seamless way, although it’s still pretty easy to tell the two of them apart. Now that you know the difference, you are probably thinking that one is more than likely better than the other. The answer really comes down to your perspective. For some of us, the simply and smaller apps are a better choice to use. In other cases, users may prefer to use the full version of apps, even if it isn’t touchscreen optimized. The really answer is it comes down to what you prefer and what you need. Neither design is worse than the other, they just have difference goals. The important thing is we have another option for getting apps, and choice is always a good thing, in my opinion. Wouldn’t you agree? Ok since neither one is better than the other, how do you decide which one to use? Here is a checklist to help you decide. What device do you plan on using? Not all devices can use both types of apps, so you will need to select the one that will work with your device. What features do you need? In many cases, you can find both a Universal and a desktop version of the app you want to use. Which you choose will depend on the features you plan on using on a day to day basis. If you are unsure what features you will be using, you could always install both on your computer. How much storage do you have? Many modern devices come with very little storage, even on some laptops. If you are running low on storage space, you may want to choose the Universal app as it won’t take up as much space. What interface do you prefer? Do you prefer to use a mouse and keyboard or would you rather use your fingers? Remember, the Universal app will be usable with both, while a desktop app may or may not have touch friendly controls. Do you want one app across all your devices? If you want to use the same app across all your devices, including your laptop, tablet and maybe even your Xbox, then it’s tough to beat Universal apps, as desktop apps require a traditional desktop interface to work, meaning they won’t be available on your phone or the Xbox. You may want to install both. In some cases, especially if you use a 2-in-1 device, you may want to install and use both. For example, Dropbox has a great desktop and Universal interface. If you are using your device in laptop mode, the desktop app often makes more sense, but if you are in tablet mode, the Universal app will be much easier to use. In the end, it will be up to you which app you choose. If you are like me, in some cases you will be running the desktop app, while in others the Universal. On top of that, sometimes you may choose to run both, just as I do. One thing I do know, by combining both you can gain access to some of the best software out there on your Windows 10 laptop. As you can see, there is really little reason to be confused about the difference between Universal apps and desktop apps. In the end, they both give you the options you need to accomplish whatever task you have on your computer. Which is better is really up to you. But if I were you, I would try both types of apps and see which ones work for you. I’m betting that you will end up running a combination of both on your system, especially if you enjoy using a 2-in-1 convertible laptop in both laptop and tablet mode. What do you think about Universal apps and desktop apps? Do you prefer one over the other or do you enjoy using both depending on what you are trying to do? Tell me your thoughts and how you make use of the different types of apps on your laptop in the comments below.